Michael Schumacher signed Formula 3 Postcard. 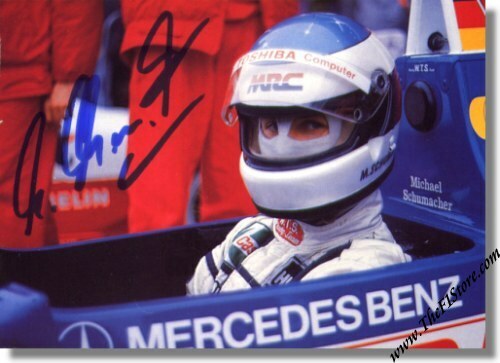 This postcard shows Michael VERY early on in his carreer in Formula Three. Michael personally autographed this card with a blue marker on the front. This card measures some 15 x 10 cm or 6 x 4 inches. This is a very rare opportunity to own a great item signed by the worlds greatest racing driver and items like this will surely appreciate in value.